A site along Santa Fe Drive in Denver that historically belonged to Stark Lumber is nearing the end of a redevelopment that’s been happening quietly for more than a year. Located between 900 and 924 W. First Ave. on the way into Denver’s Santa Fe Arts District is The Yard on Santa Fe, a new retail district that is nearly full and is getting ready to install signage. 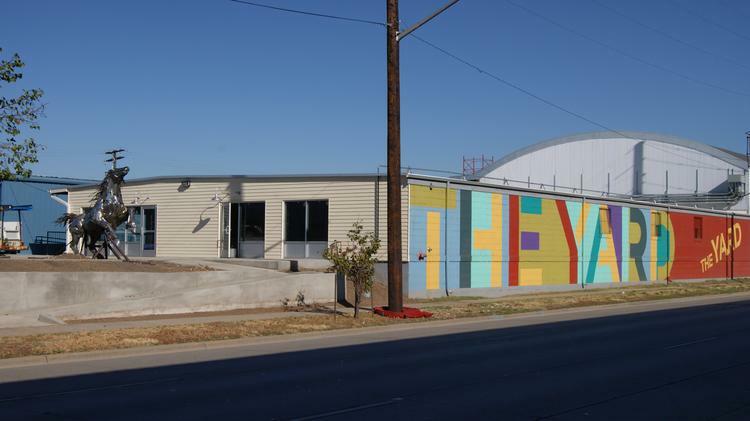 The Yard on Santa Fe is a new development south of the Santa Fe Arts District. Seven retailers have already made their homes in the development, including a brewery and a distillery. The Yard on Santa Fe’s developer, The Sherman Agency, is still searching for tenants to fill the last 6,500 square feet of space. The remaining space fronts Santa Fe, and The Sherman Agency would like to fill it with a restaurant to fill out the retail roster there, said Josh Snyder with Sherman. Renegade Brewery is already brewing beer in its space at The Yard on Santa Fe, with plans to open a second tap room there in addition to the one it maintains up the street in Denver’s Lincoln Park neighborhood. The brewery will eventually take up 15,000 square feet in the development. Rocky Mountain Flex Fitness is also already operational, with 7,000 square feet, and Fin Art Co., a furniture maker, is currently working in the space, with plans to open a retail showroom in addition to its building operation. Deviation Distillery, which will make gin and whiskey; Board Game Republic, a board-game focused cafe; and Inspired Training Center, a cycling studio, will open within the next six months, Snyder said. The site served as the home to Stark Lumber for 100 years before it was acquired by The Sherman Agency and other investors. The original plan was to redevelop the property for other industrial uses, as Sherman works mostly in the industrial realm, Synder said. But since the property sits on the edge of the Santa Fe Arts District, the company decided to turn it into a gateway of sorts to the part of town that is home to the Colorado Ballet, Su Teatro and a variety of art galleries.